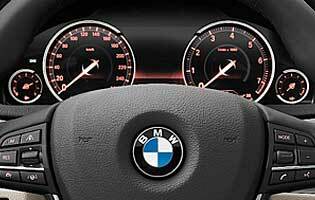 This is arguably BMW's most controversial model, with oddball styling that has polarised opinion sharply. It has been given a series of mid-life updates, designed to refresh its appeal and give it the latest technology in order to keep it competitive in a niche market, where relatively small sales volumes can translate to high percentages. The reason the GT model came into being in the first place was to satisfy demand for a 5 Series-sized car with a higher driving position and more luggage space. This remit hasn't changed and it still offers more boot space than the saloon and Touring variants, but importantly for the new model the divisive rear styling has been neatened. 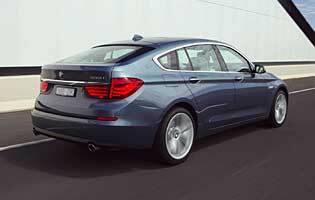 As a part-large saloon, part-crossover vehicle the GT occupies a market space somewhat all of its own. It's designed for those people who want high levels of interior space and luggage room in combination with a raised diving position, without fuel thirst and image that accompany SUV-type vehicles. 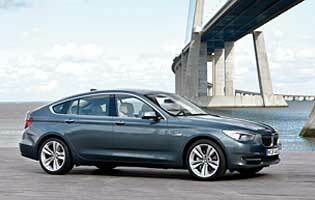 BMW itself admits the GT is a low sales volume vehicle. It is significantly more expensive than the 5 Series saloon, and as such those who buy it will be particularly keen on its attributes. It cherry-picks the trim levels and engines that best suit its buyers, which is fine in principle but it leaves the range rather confusingly stacked, with some engine and trim grade combinations not possible. A revised range aims to broaden its appeal, with relatively low-CO2 models joining the familiar more powerful ones. BMW would like to use the price difference and the extra rear passenger space on offer in the GT to place it firmly as a more premium 5 Series, and in doing so the firm hopes to boost sales significantly. Being taller, heavier and worse looking than the saloon and Touring models, the GT doesn't have a lot resting in its favour. However, rear seat passengers will definitely notice a difference and appreciate the extra legroom. The cabin also feels more airy because of the improved headroom, but given the substantial price increase over the admittedly slightly less spacious other models, it's hard to recommend the GT.